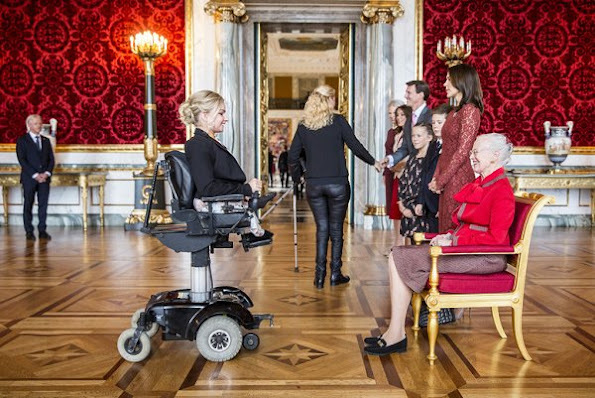 Today, Danish Royal Family held a reception at Christiansborg Palace for Olympics and Paralympics teams which have participated in the Brazil Rio De Janeiro Olympics. 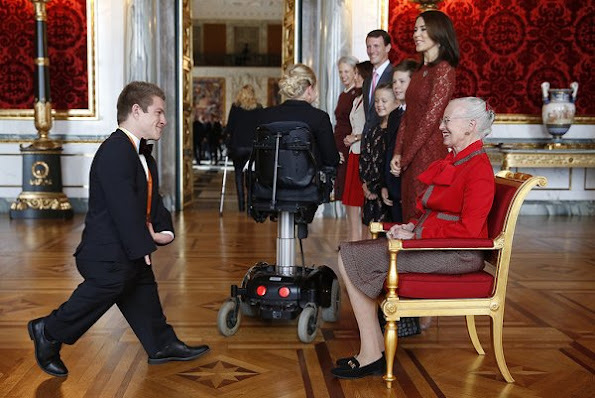 The reception was attended by Queen Margrethe, Crown Princess Mary, Prince Christian, Princess Isabella, Prince Joachim, Princess Marie and Princess Benedikte. Copenhagen, October 14, 2016. 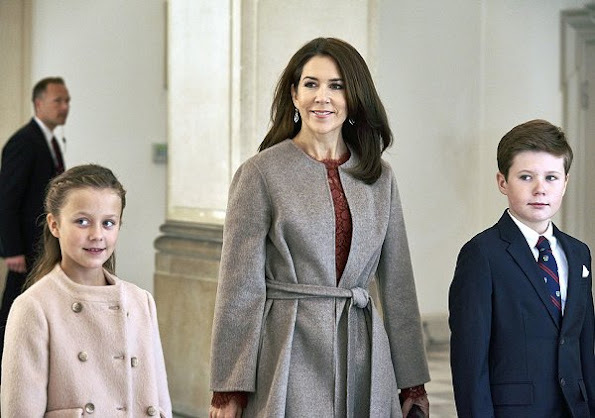 Both Princess Mary and Princess Isabella coats nice in color and cut. Good photo of Princess Mary's daughter, growing to be attractive lady someday. 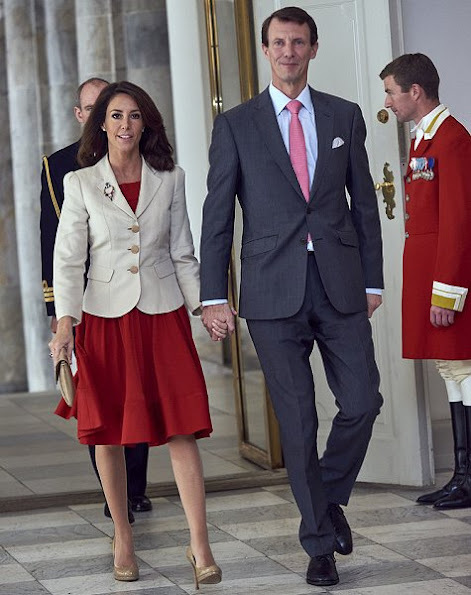 Princess Marie I think was dressing in the dark or in need to get new jacket! 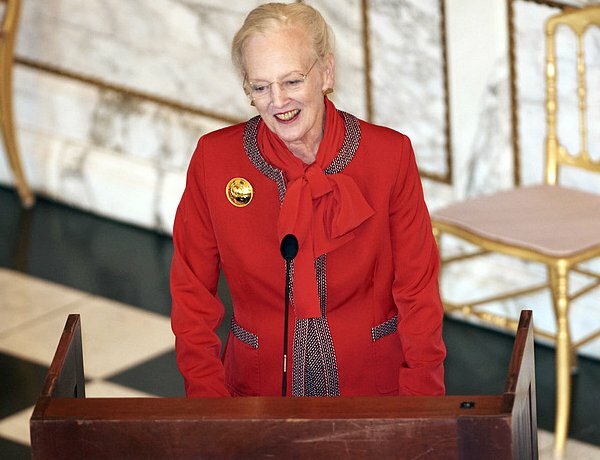 I can say one thing about Queen Margrethe, her hair color matches so well with her teeth! Lace dresses were nice when they just started to be in fashion. Too many around now. Isabella looks so much like Fredrik. Christian looks like Mary´s father. 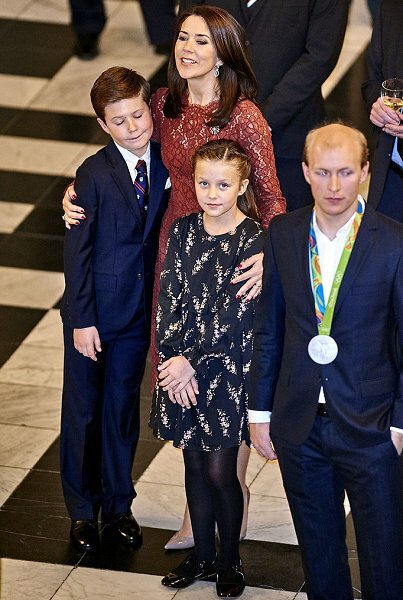 I love the look on Prince Christian's face when his mother hugs him! My sons were the same if I showed affection in public. typical kids - Isabella will be the same in a couple of years! That's a very ill fitting jacket for Marie. Tight on her breasts and the sleeves are too wide. And again, I think it's a piece that doesn't need a brooch (á la her coat at the parliament opening). Probably because of the large buttons. 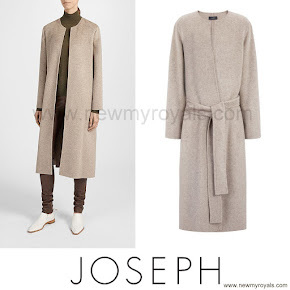 Or it needs a different shape, a smaller circular piece. 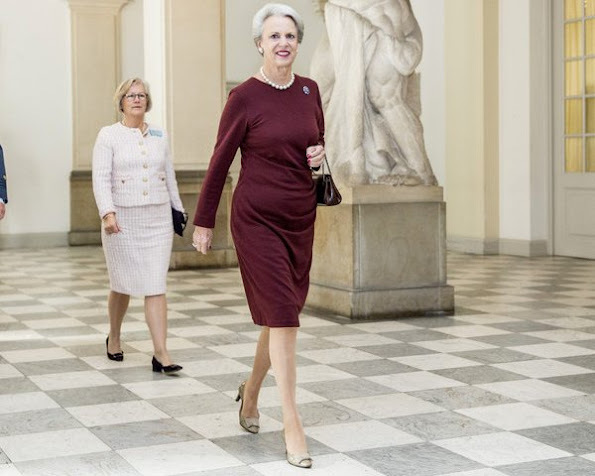 Benedikte is the best here in my opinion. 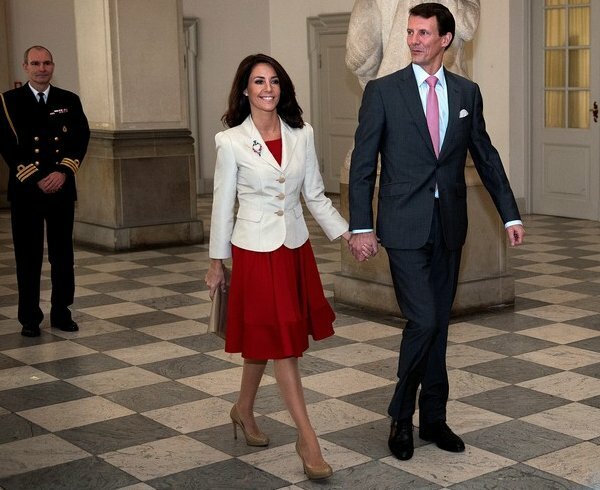 Mary is pretty of course but this dress (a variation of the same) I think just looked better on Kate. Or is it that from Kate it was kind of a surprise and now it has lost it's news factor? I don't know. Her coat looks a warm piece though and a good pick: both casual and elegant. Mary looks lovely and Christian and Isabella are beautiful children. I think that Marie is looking good.Marys dress is not right for her....it is not bad but more for a younger women.Both childre are lovley. 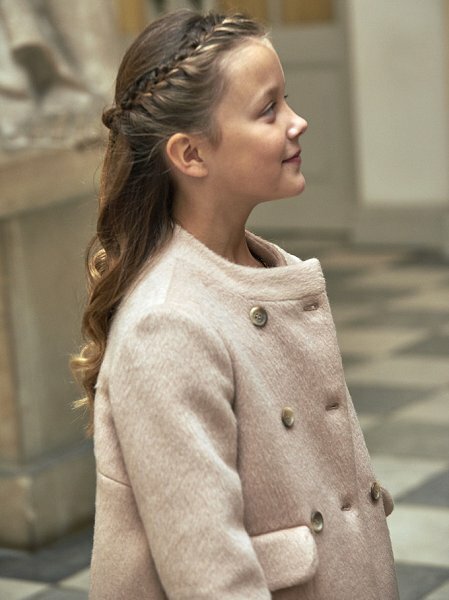 I love Isabella's coat, it's the kind of style I wore when I was in my 30's, 50 years ago. The sort that never goes out of style - not for too long, anyway. Isabella is adorable. 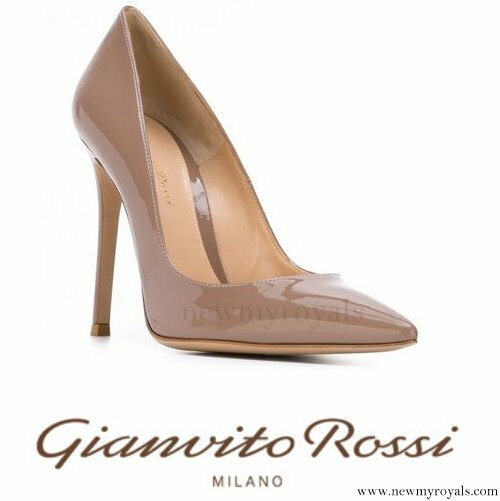 Beautiful profile.